Artists and designers frequently amaze us with their ability to turn the ordinary into the exceptional, and never is this truer than in the medium of paper art. 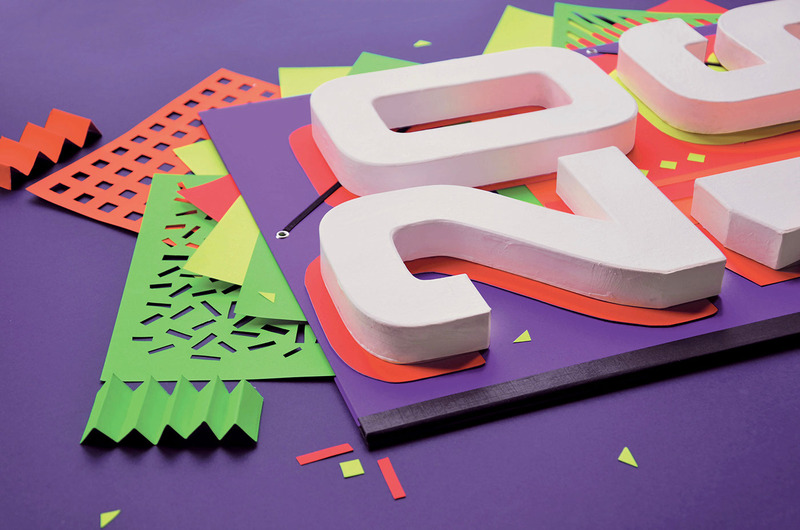 With just paper and imagination these artists remind us that it doesn’t take a big budget and a plethora of supplies to create an outstanding advertisement or artwork. 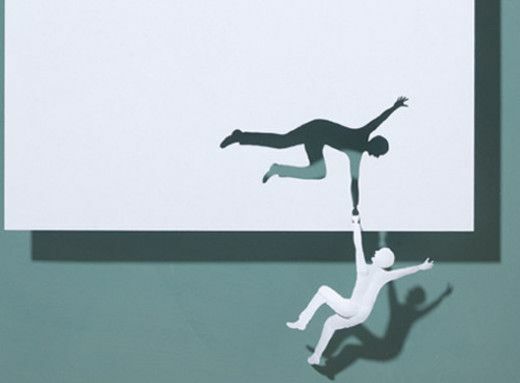 Here are some gorgeous examples of paper art being used to turn a blank page into a multi-dimensional story – be it for a brand, personal project or art gallery installation. Phonak, a Swiss company that produces hearing aid products wanted a campaign that gave a visual texture to the feeling of hearing. What better way to accompany the tagline “Let the rustle of paper be music to your ears” than with this beautiful paper dancer? The colours and shapes give the image great texture. 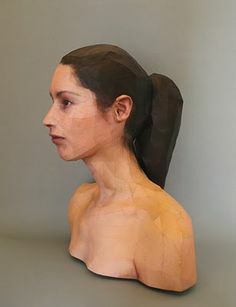 This 3D figure is a kind of surreal art installation that people can create and have in their own homes. Made by ‘kamibox.de’ and shared with instructions on http://www.instructables.com you can have this quirky piece on your wall. All you’ll need is paper, glue, scissors and a free afternoon (or five). 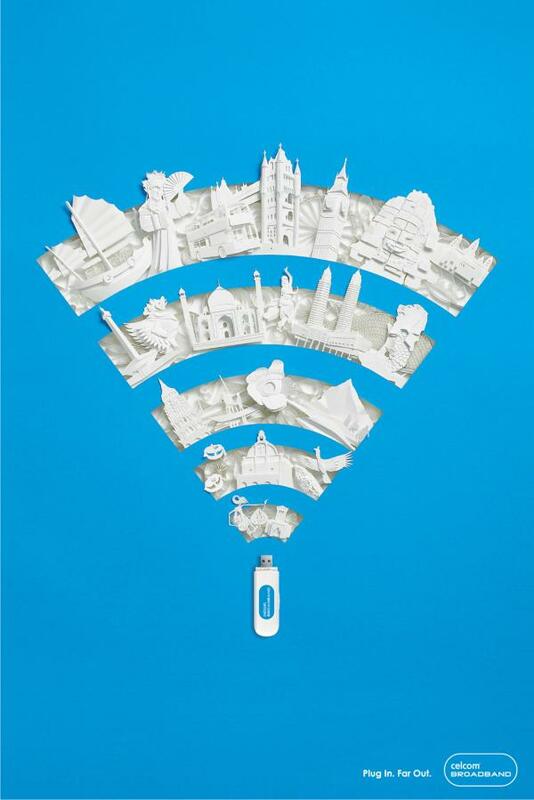 This ad campaign for Celcom uses paper art to illustrate “an endless world of fun and limitless imagination”. The incredibly intricate visual combines simplicity and space with detail and texture for interesting results. 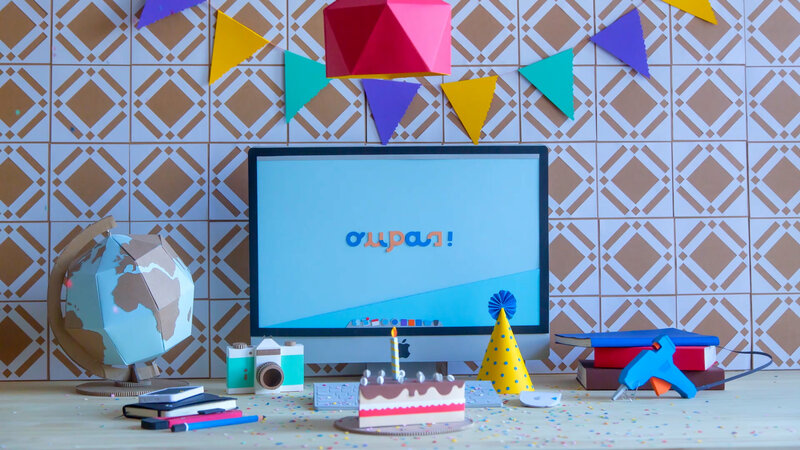 The juxtaposition of using paper for a digital product adds an additional layer of intrigue. 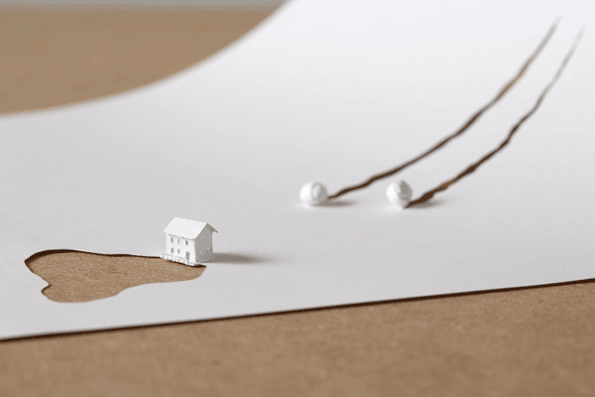 Artist and architect Charles Young created this tiny paper world that’s made up of 365 paper structures – many of them moving! Young films each structure doing its thing and uploads an animated GIF of the action. This model forms a small section of an entire mini city which Young plans to exhibit. Pretty impressive! 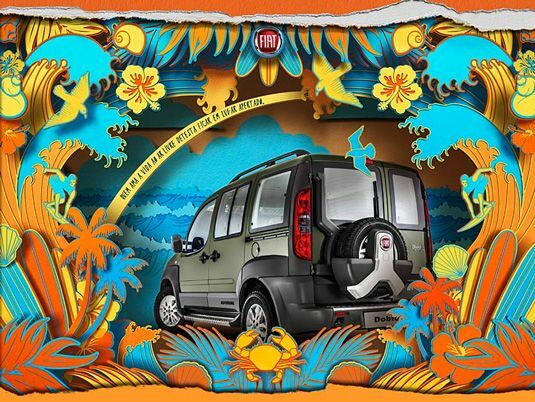 Brazilian illustration agency, D’Avila Studioa, created this colourful paper art piece as part of Fiat Motors’ campaign to promote the Dobló Adventure. The secret to the impressive depth effect is overlapping paper layers and colours. A very simple and cost-effective way to create an eye-catching print ad. ‘a communication of how all things are interrelated, with organic forms, textures’. The effortless sense of ‘flow’ is part of Rodden’s signature look and is achieved by the careful curvature of her lines. Her use of texture and colour also brings an ‘aliveness’ and complexity to her work. both of whom love working with paper. 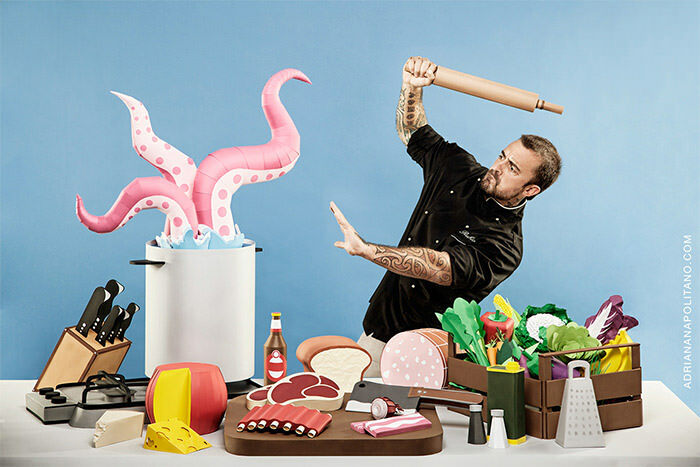 “Paper art is DIY work we really enjoy to see and to make, ” Gillet explains. “It’s the kind of project we feel is more human than any project you can make using software.” Amen to that! This exciting piece was created by Italian artist, Adriana Napolitano. 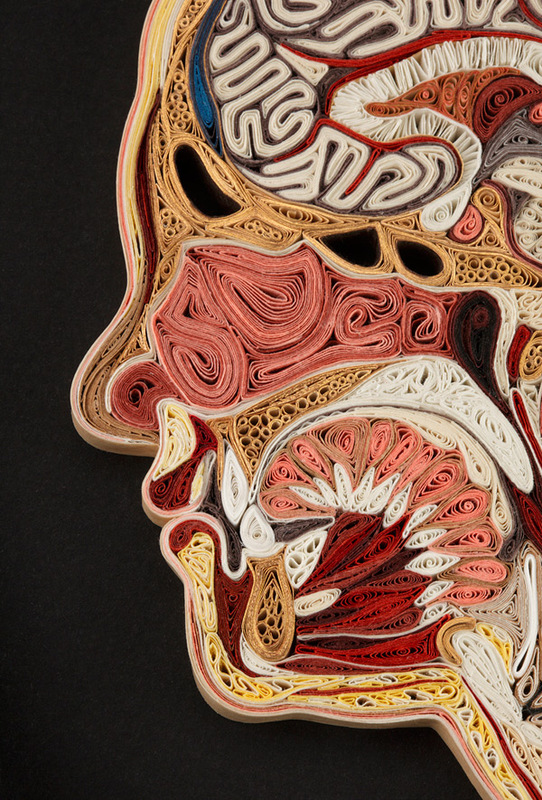 Napolitano describes herself as a ‘paper enthusiast’ and says: “I work with my hands, my brain(s), my heart and coffee.I am totally in love with paper”. The use of a human model as part of this piece is a great offset for the extremely detailed cartoon-style paper elements. This mind-blowing piece was created by Anant Nanvare, a very talented illustrator from Mumbai, India. 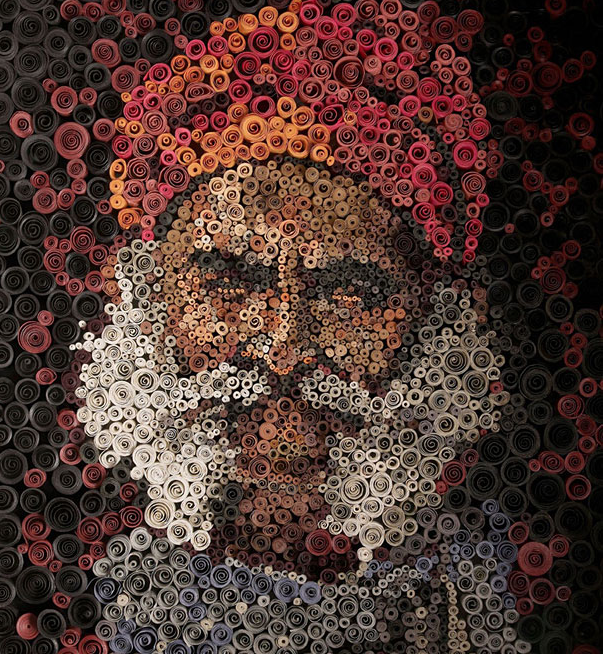 This creation was part of an incredible series of colourful and very detailed portraits, all of which were made by rolling paper into tiny stacks of various sizes. Nanvare’s genius use of colour and size gives his pieces additional complexity and a wonderful sense of depth. This funky paper art was created by the artist Tommy Perez for Kwik Krafts. Tommy is based in Minneapolis, MN and describes himself as designer, doodler & paper crafter. 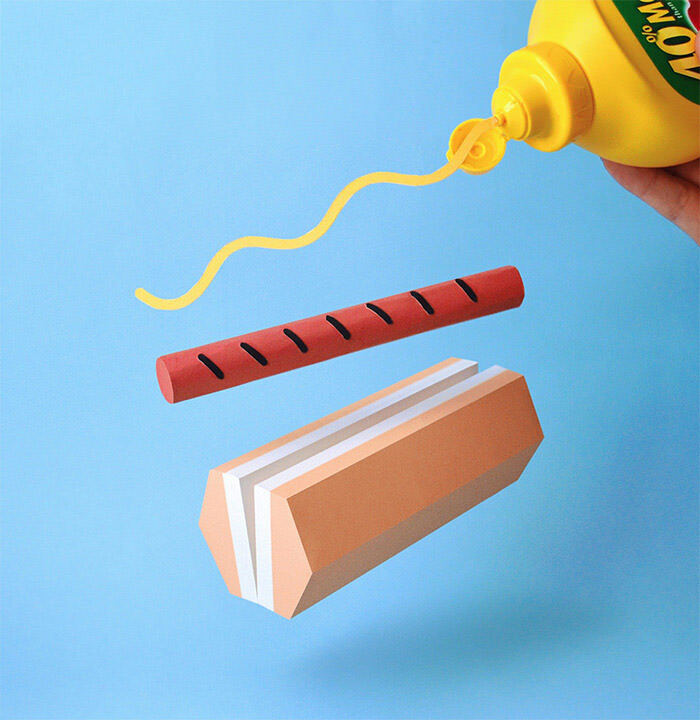 This particular piece was created to honour national hotdog day. Based in the heart of the city of Porto, Oupas! is a graphic design studio and a team of three: Cidália, Joana, Sofia.“We work in the field of graphic design, illustration and set design, in the most ecologically and socially responsible way”. Oupas! 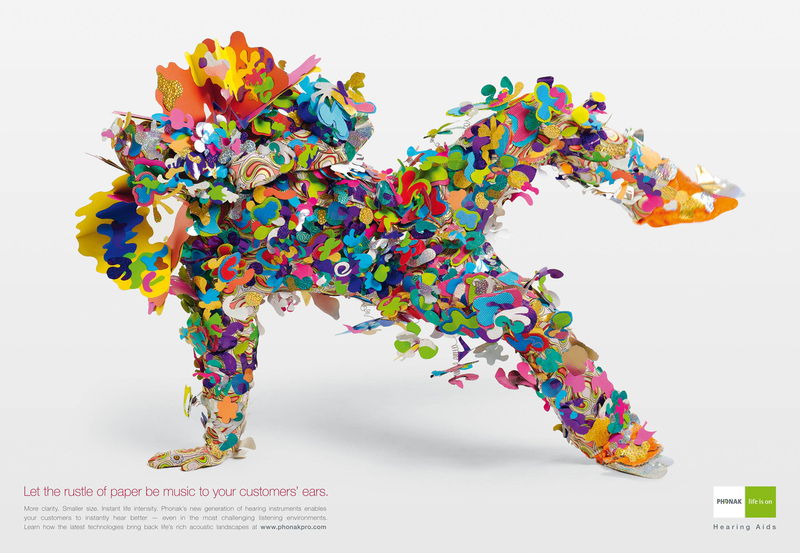 Created this paper art design as part of an ad campaign for a client selling shoelaces. 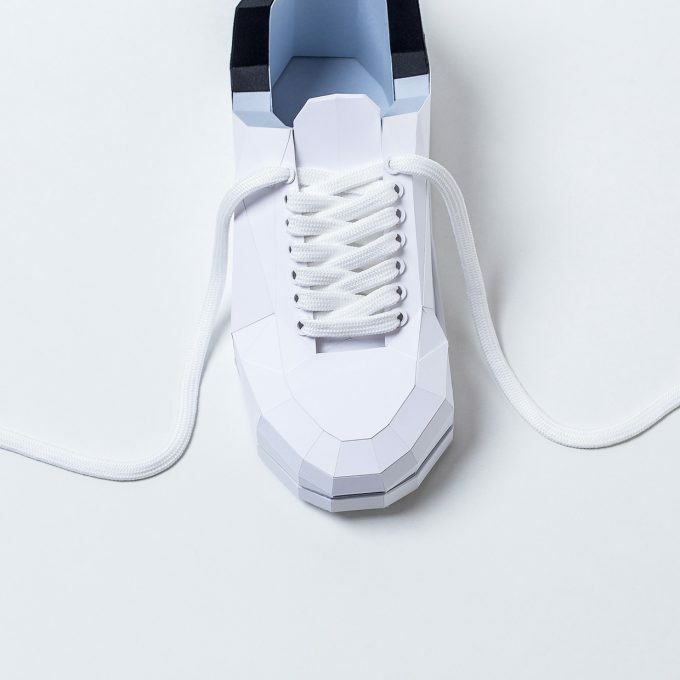 The paper shoe creates a blank canvas, while at the same time managing to be visually intriguing; such is the power of paper! Looking for a bespoke and cost-effective art installation? 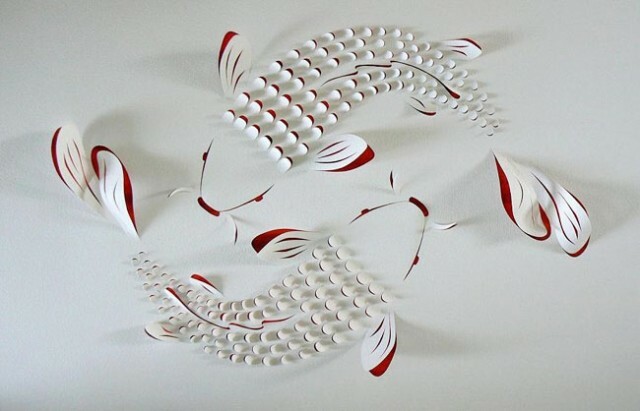 Look no further than paper art! 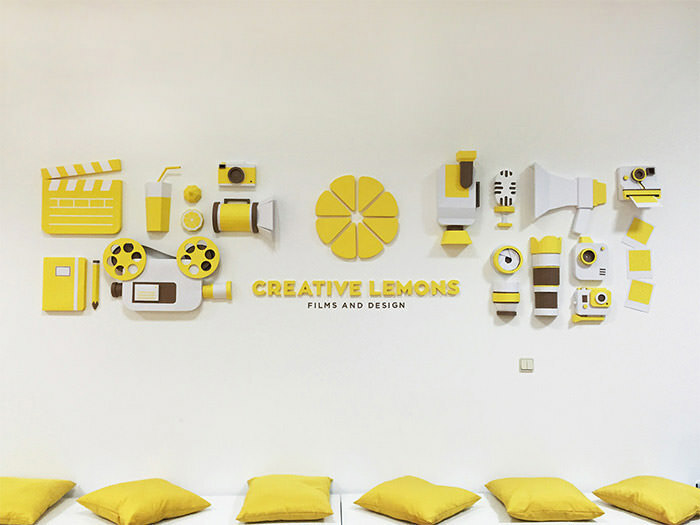 This paper art forms part of the 3-dimensional decor at Creative Lemons film and design. Clever, isn’t it? 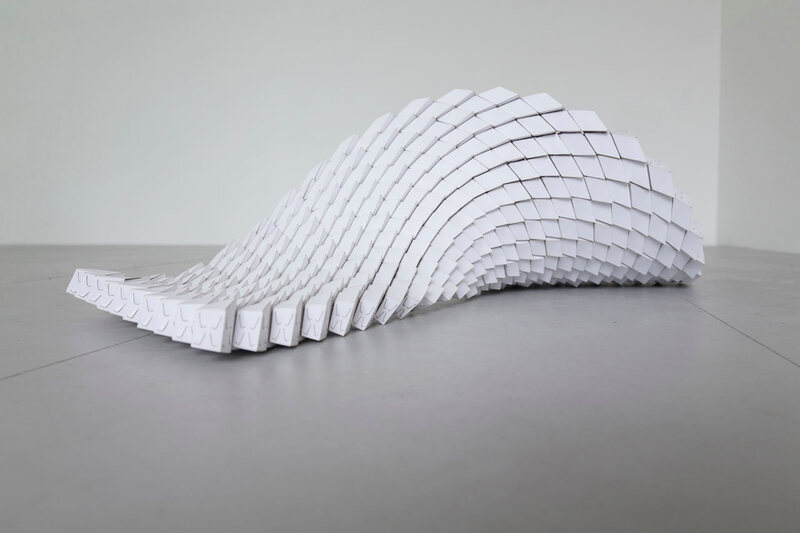 This paper sculpture by James Donegan is a hand built, modular prototype with each separate component held together by interlocking cuts. “The process of making paper involves taking a highly structured, organic material and reducing it to a two dimensional blank space upon which one can easily express one’s ideas” says Dogan. Danish artist and author, Peter Callesen is a paper art extraordinaire. Many of his paper works are very well known and generally consist of just a single piece of paper! By using a single page Callesen creates this visually interesting ‘negative’ effect, where the reverse creates a mirror of the image itself. Many of Callesen’s impressive examples of paper art are exhibited in galleries across the world or available on his website, http://www.petercallesen.com/. 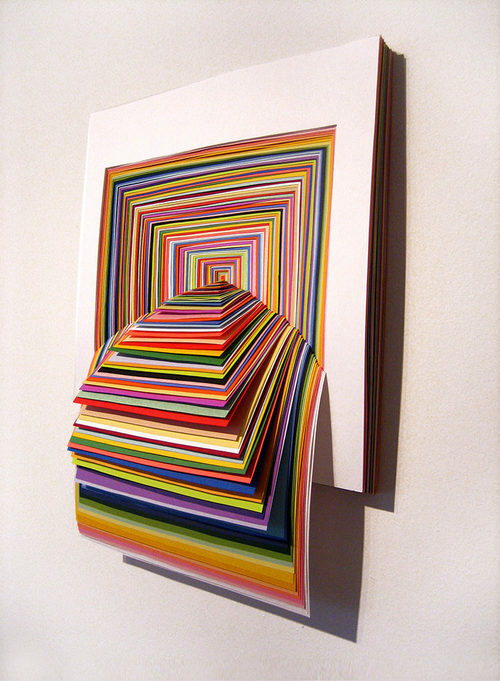 Jen Stark is a paper artist whose artwork “mimics intricate patterns and colours found in nature”. Many of her pieces also explore the concepts of infinity through replication. Stark has had great success as an artist and her works are exhibited globally with major shows in NYC, Los Angeles, Miami, Chicago, Thailand and Canada. Some of her work is also included in the Smithsonian American Art Museum. 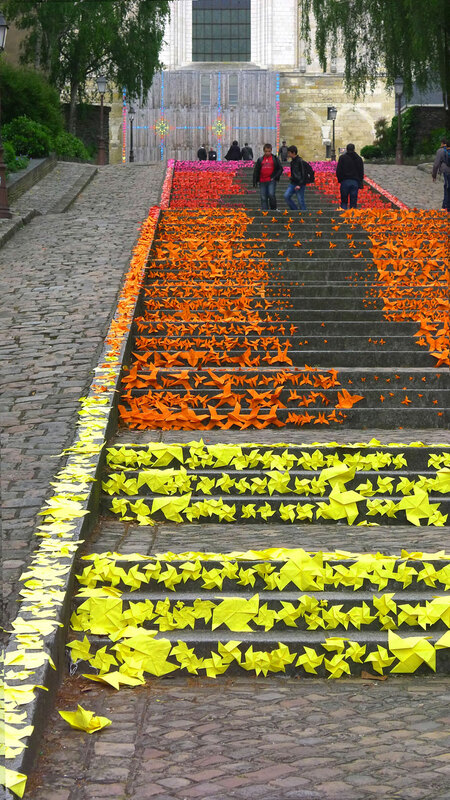 Mademoiselle Maurice is a French artist who creates this exciting origami inspired street art. Her designs have become very well-known and she has partnered with brands such as Issey Miyaké, Louis Vuitton and Google. Her use of various colours, textures and origami shapes make for an incredibly attractive outdoor installation – albeit weather dependant! Artist and creator, Lisa Nilsson created these fantastic pieces using Japanese mulberry paper and the gilded edges of old books. 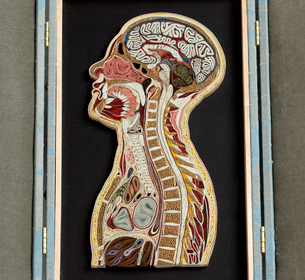 Her scarily accurate depictions of the human body are made using a technique called quilling, which involves rolling and shaping narrow strips of paper or paper filigree. This allows her to add a sense of texture which add to the impressive sense of accuracy. 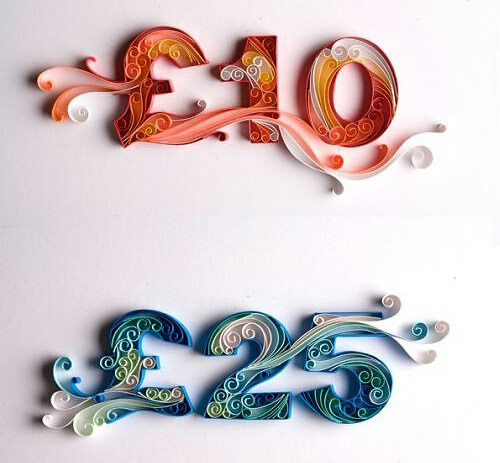 Yulia Brodskaya’s work provides us with another excellent example of paper quilling. Brodskaya is a Russian artist who is well known for her intricate paper illustrations which she creates by hand. 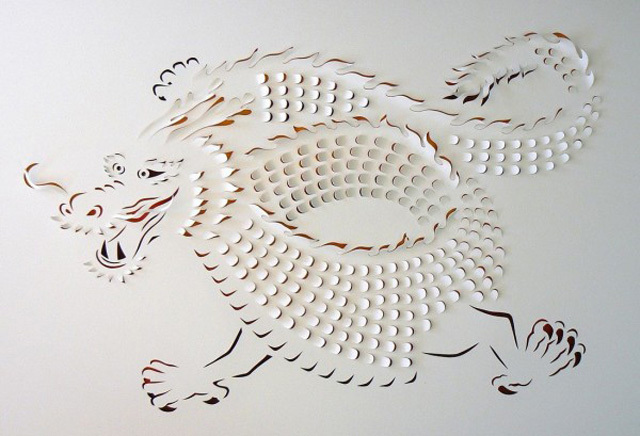 No paper art display would be complete without the work of Bert Simons. His eerily realistic human portraits are nothing short of incredible! 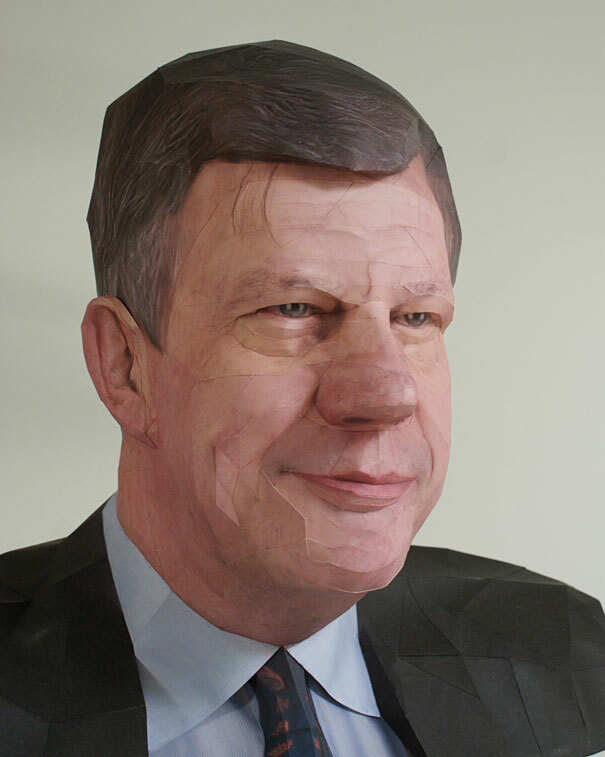 Simons created these portraits using tiny printed pieces of paper and the results are both scary and fascinating. 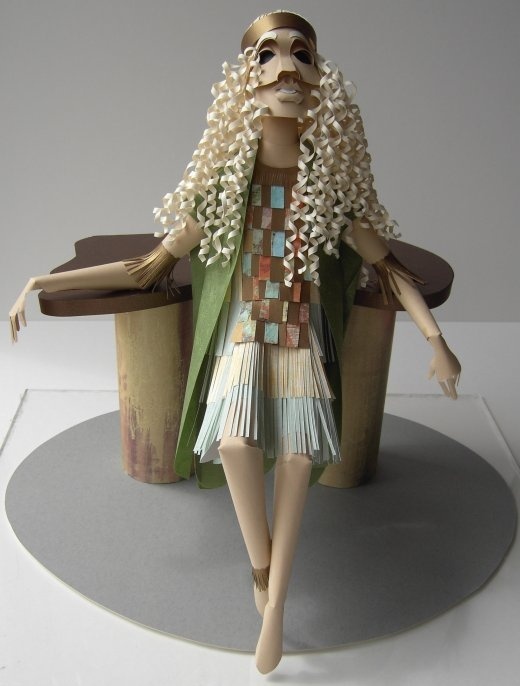 Sher Christopher is a ‘Paper Sculptor’ whose work includes doll-like figures brought to life through the medium of paper. Christopher crafts these unique figurines purely from paper and creates their rich texture using various cutting, folding and curling techniques. 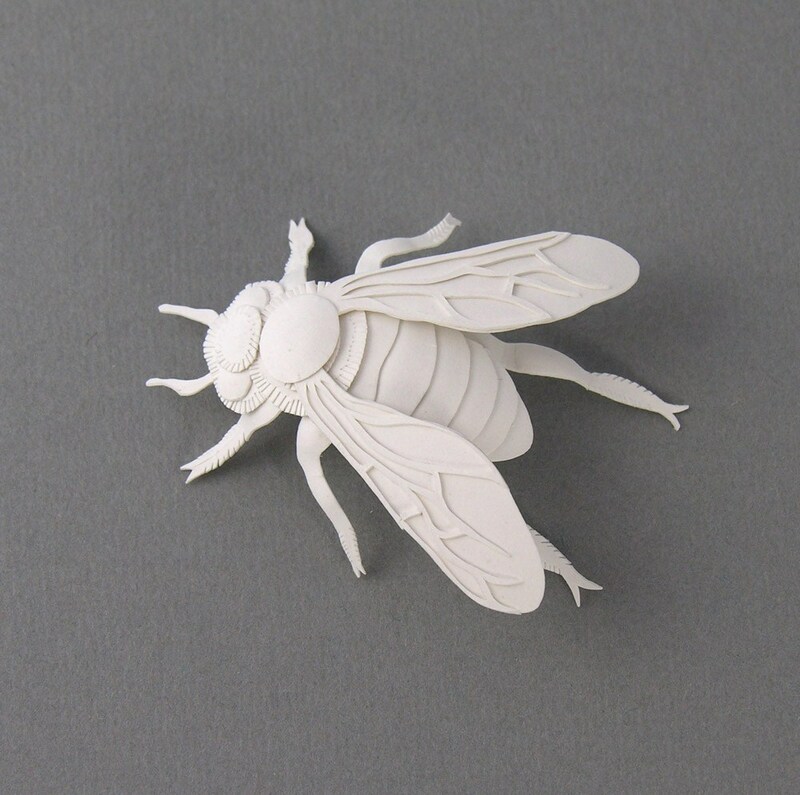 Cuban Artist, Elsa Mora creates these realistic paper insects by cutting and layering blank paper. The very fine details and 3 dimensional quality bring the works to life without the use of colour. 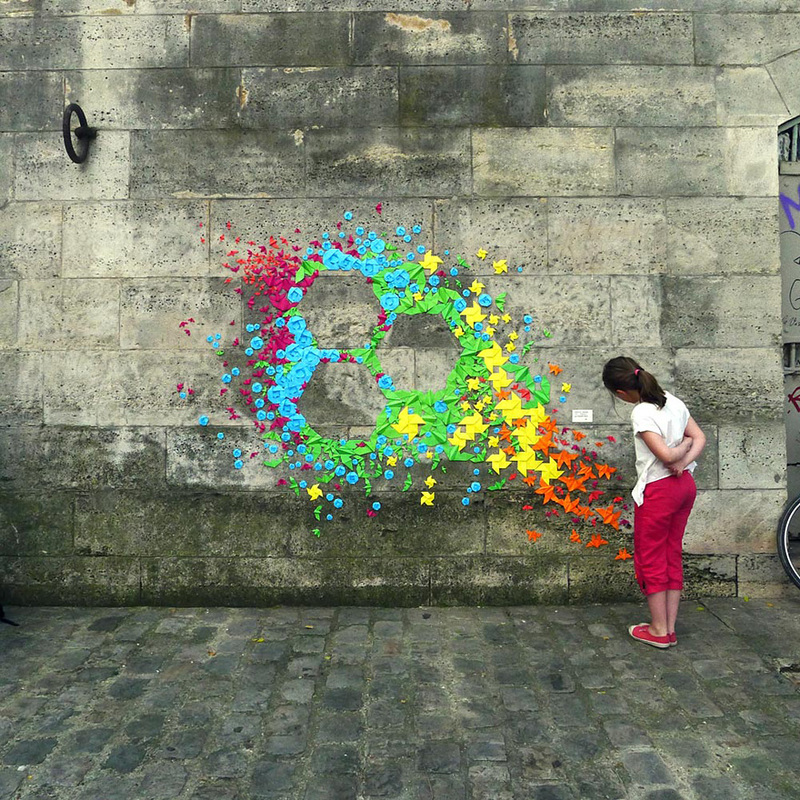 Mora is a multimedia artist and artistic director of ArtYard, based in New York City. 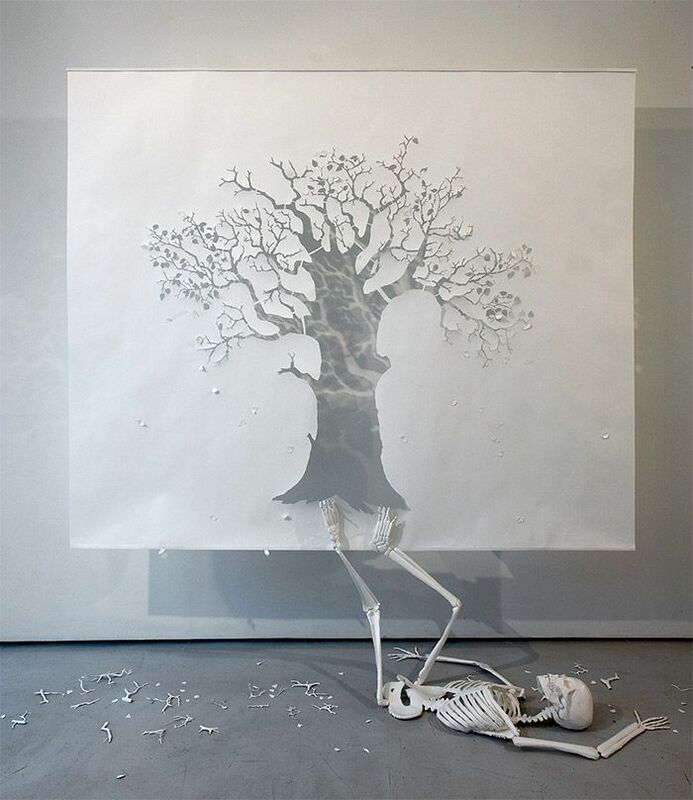 Su Blackwell is an artist working predominantly within the realm of paper. 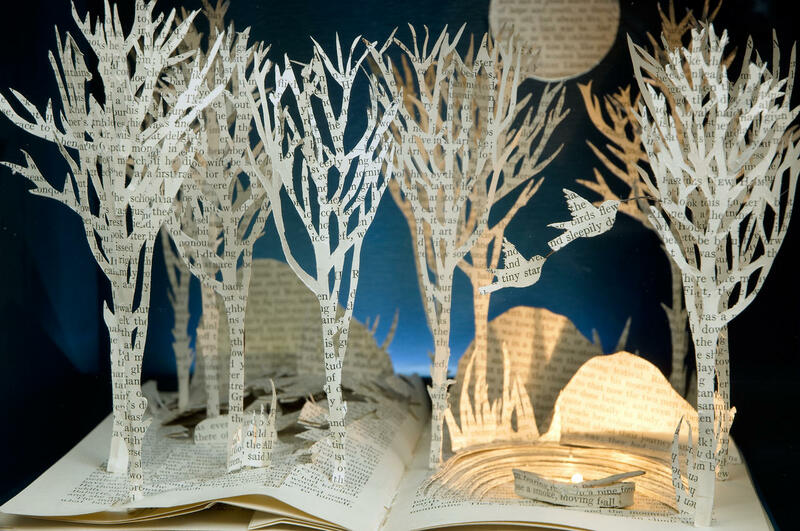 Many of her paper sculptures are made entirely from the pages of old books. “I began making a series of book-sculpture by cutting out images from old books to create three-dimensional dioramas”, says Blackwell. She now has an impressive array of book sculptures, some of which are complete with their own lighting! 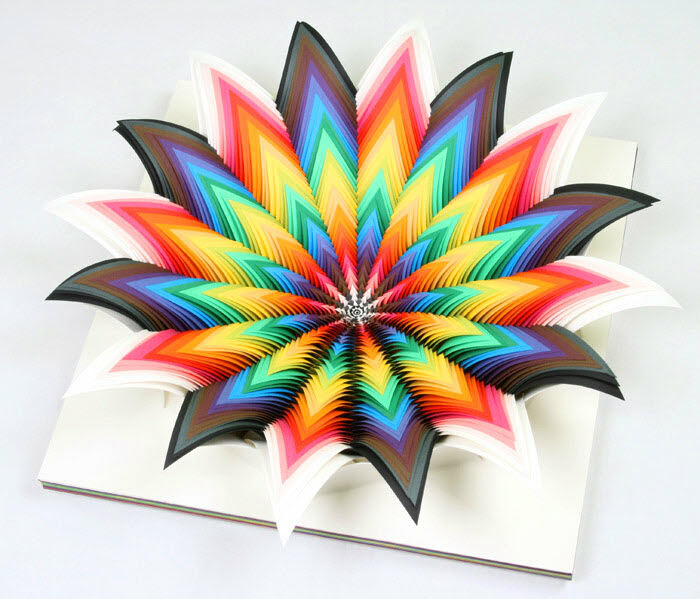 These examples of paper art are stunning reminders that in the right hands, the simple tools of paper and colour become art – something which we at The London Printing Company are certainly passionate about! Whether it’s a creative idea, branding venture, passion project, art installation or business endeavour we love bringing our clients’ ideas to life.